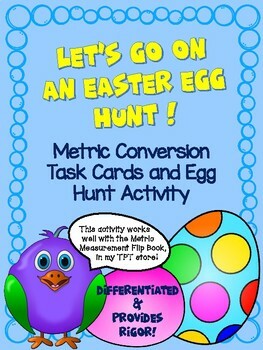 Are you looking for something engaging that will help with metric measurement conversions? 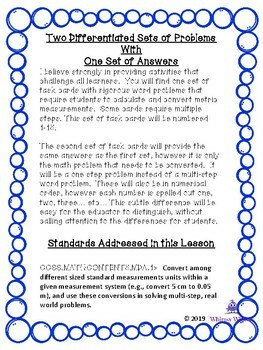 This differentiated activity contains 30 task cards - 15 multi-step word problems requiring metric conversions, and 15 task cards with just a metric conversion problem. All you need to supply are some plastic Easter Eggs! 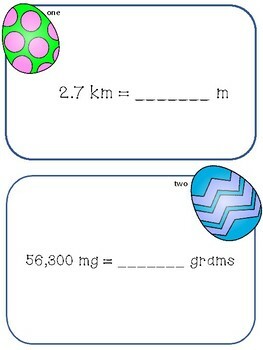 Once students work on a problem and get the correct answer, they can go hunt for an Easter Egg to add to their basket! Inside each Easter egg are points. 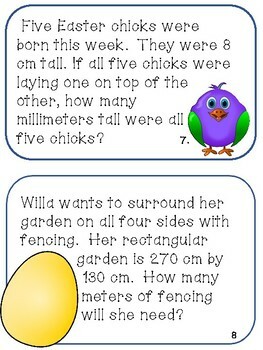 Once students have finished the problems, they can open their eggs and calculate the points they've earned! For a sweet touch, add some jelly beans to the eggs, and students will calculate the total points based on the colors of jelly beans they've collected!